The Peck family believes they owe a debt of gratitude to St. John’s NICU. “I cannot say enough about the care my daughter received at St. John’s NICU. 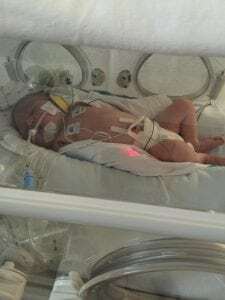 I didn’t really understand the greatness of St. John’s NICU until we were there. I knew she was in the hands of some of the most professional, dedicated, supportive, loving and caring individuals.